This Delicious Green Chicken Enchiladas is BOMB and I am not even exaggerating. 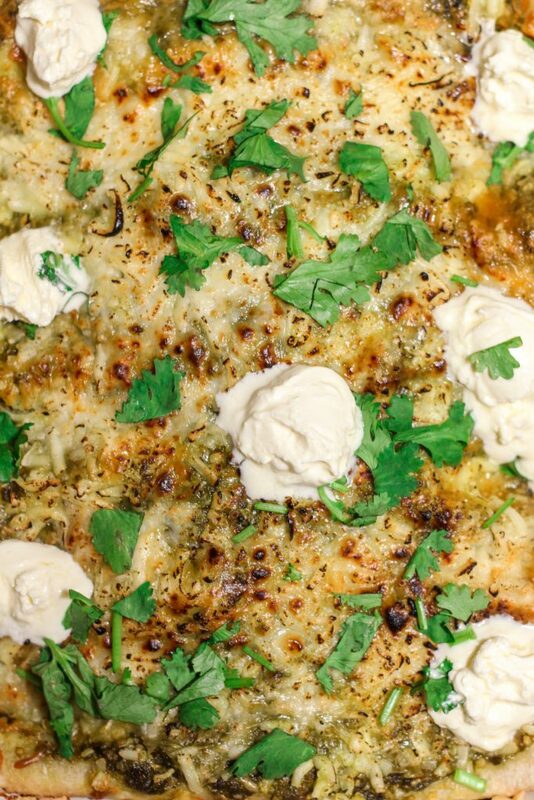 Cheesy, full of flavor and super satisfying! Best of all, It tasted equally delicious, the next day. That is a good thing for meal prep right? I know the pictures really do no justice to this deliciousness but when you have to choose between taking good pictures and devouring these when it’s still hot and gooey, you obviously choose the latter. So basically this recipe starts with some shredded chicken. Grill your own or just buy a rotisserie chicken. Works either way. Next, we need a bowl of salsa verde. Salsa verde is a green tomatillo salsa made with garlic, onion and peppers. Feel free to use store-bought or make your own. Yup, this works either way. 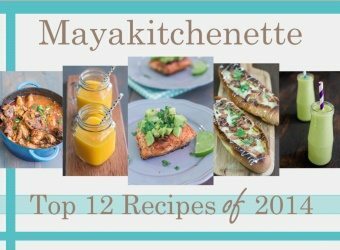 You would fill some tortillas with the chicken mix, top with sauce…chill and bake! 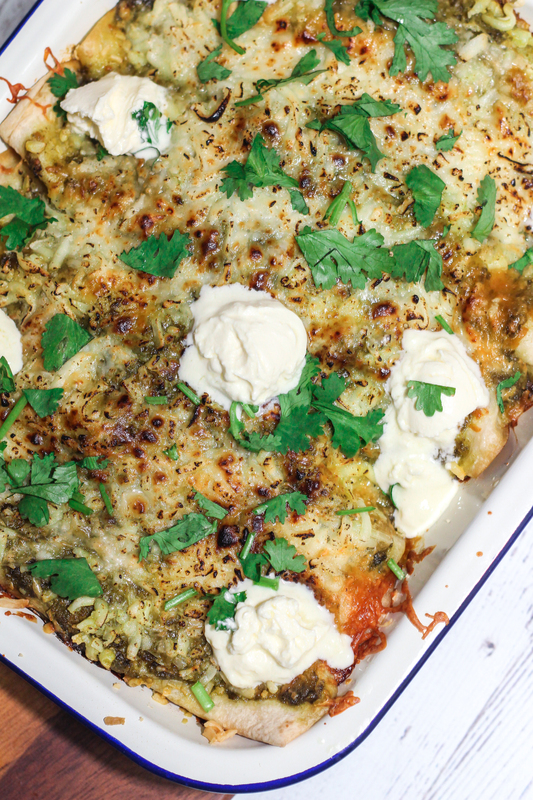 Yup, this is super simple and easy to assemble plus how can you go wrong with chicken, salsa verde, green chiles and Monterey jack cheese? I will never look at Jack at the same way again. I meant Monterey Jack of course. I also love how the chiles and cumin gave the enchiladas a bit of a “kick”. Just as I said, you can choose to use store-bought Salsa verde or make your own. I was being ambitious that day and I made my own. Well it was easy nonetheless. It just required me to blend some tomatillos/green tomatoes, cilantro, basil, capers, chiles, garlic and onion and finally seasoned with a touch of salt and sugar. It smelled so good and tasted so fresh!! Oh by the way, just one word of advice. 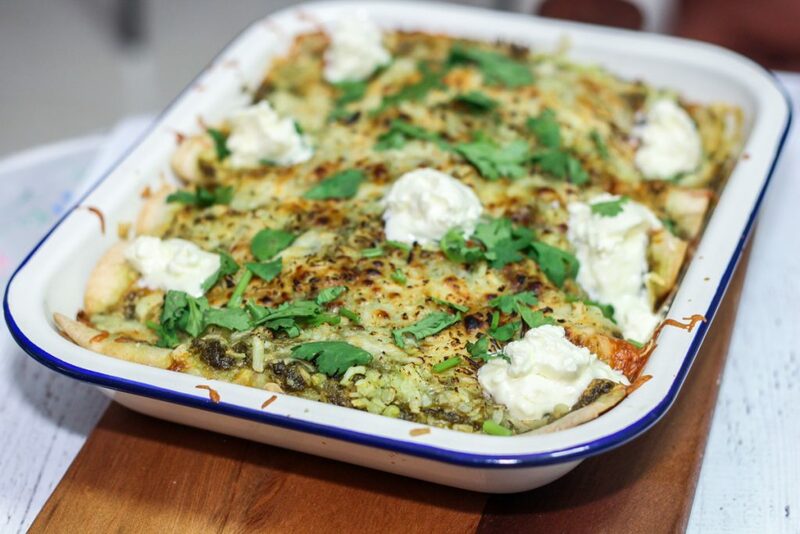 I would suggest that you double up this recipe to make 2 pans of enchiladas, one to eat for dinner tonight and another one for tomorrow. I am obviously speaking from experience here. 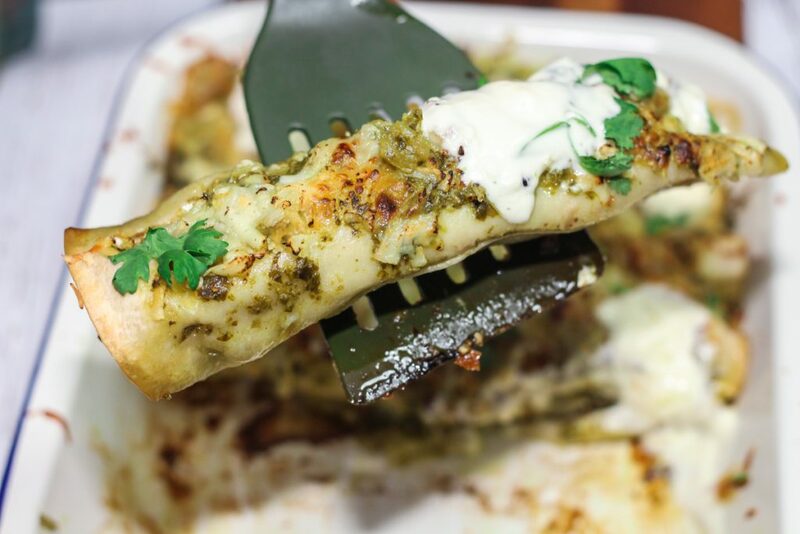 We had these enchiladas with some sour cream by the side and a good sprinkling of cilantro. I am still dreaming away as to how good this tasted as I am looking at the pictures. I have never thought of going to Mexico, but after eating this Delicious Green Chicken Enchiladas, I am definitely adding Mexico to my list. Preheat oven to 170 degrees C. Lightly oil a 9 x 13 baking dish or coat with nonstick spray. Heat canola oil in a large skillet over medium heat. Add onion, and cook, stirring frequently, until translucent, about 2-3 minutes. Stir in garlic, oregano and cumin until fragrant, about 1 minute. Remove from heat; stir in green chiles. In a large bowl, combine green chile mixture, chicken, ⅓ cup salsa verde and cilantro. Stir in 1½ cups cheese; season with salt and pepper, to taste. To assemble the enchiladas, lay tortilla on a flat surface and spoon a couple spoonfuls of the chicken mixture in the center. Roll the tortilla and place seam side down onto prepared baking dish. Repeat with remaining tortillas and chicken mixture. Top with remaining salsa verde and remaining 1½ cups cheese. Place into oven and bake until bubbly, about 25-30 minutes. Serve with dollops of sour cream.